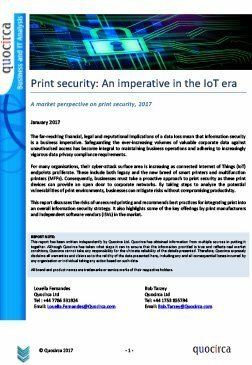 This report from analyst group Quocirca discusses the risks of unsecured printing and recommends best practices for integrating print into an overall information security strategy. 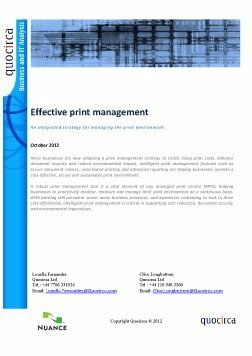 It also highlights some of the key offerings by print manufacturers and software providers in the market. 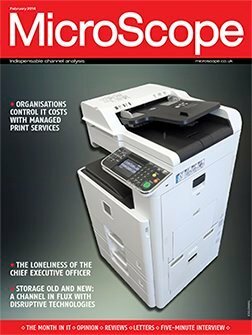 The cyber attack surface area of organisations is increasing as connected internet of things (IoT) endpoints proliferate – these include legacy and the new breed of smart printers and multifunction printers (MFPs). 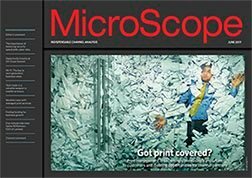 Businesses must take a proactive approach to print security as internet-connected print devices can provide an open door to corporate networks. By taking steps to analyse the potential vulnerabilities of print environments, businesses can mitigate risks without compromising productivity. Risks of unsecured printing and best practices for integrating print into an overall information security strategy. 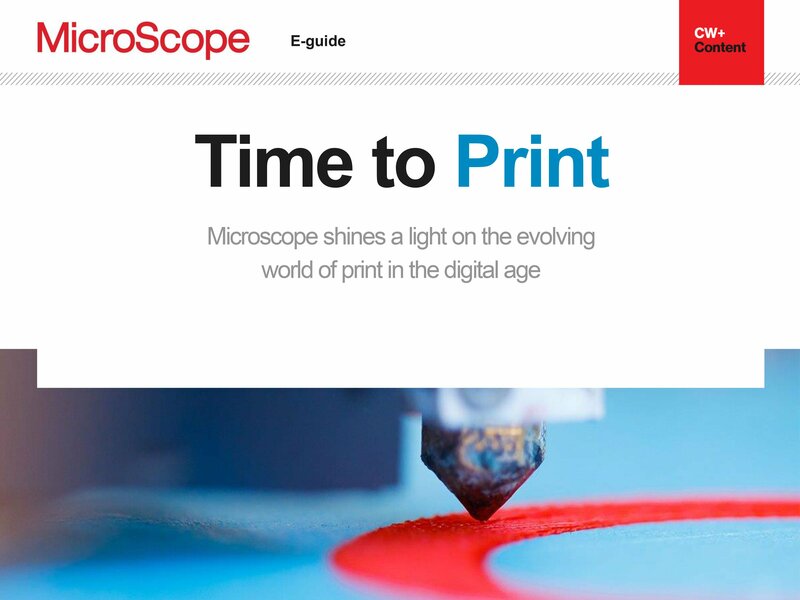 Key offerings by print manufacturers and independent software vendors (ISVs).